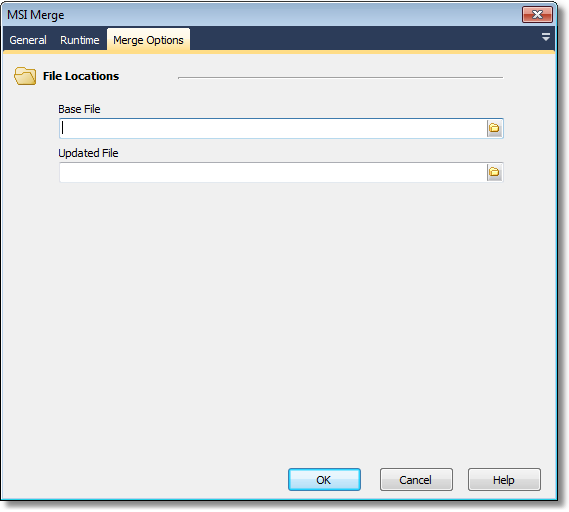 The MSI Merge action enables you to merge two MSI databases into one. The location of the MSI file that will be merged. The location of the MSI file that contains the changes that should be merged into the Base file.